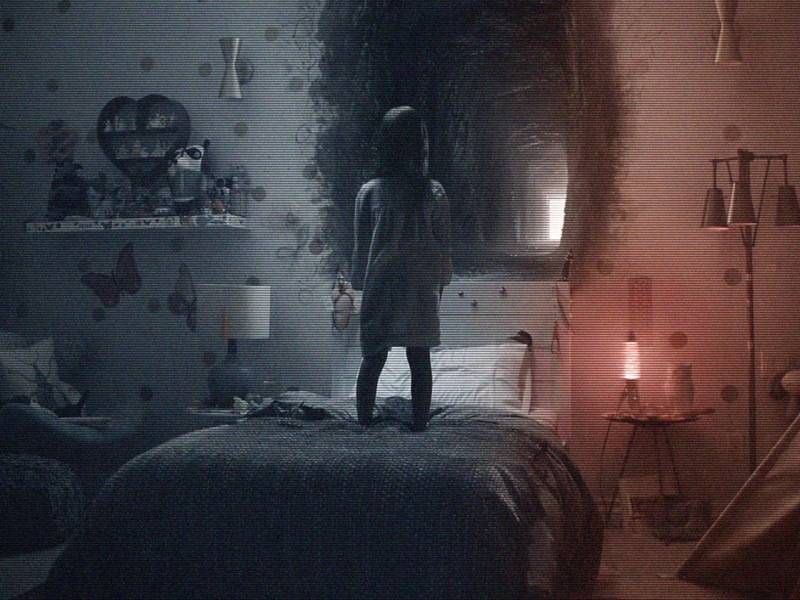 The final chapter of the Paranormal Activity franchise, The Ghost Dimension, is coming our way next month, and things are promising to be creepy if this ‘living’ poster is anything to go by. It may be a simple piece of promotion, but it certainly grabs your attention. Synopsis: Paranormal Activity: The Ghost Dimension centers on the Fleeges — father Ryan (Chris J. Murray), mother Emily (Brit Shaw) and their young daughter Leila (Ivy George) — who move into a house and discover a video camera and a box of tapes in the garage. When they look through the camera’s lens, they begin to see the paranormal activity happening around them – including the re-emergence of young Kristi and Katie. The video camera footage will be presented in 3D in theaters.